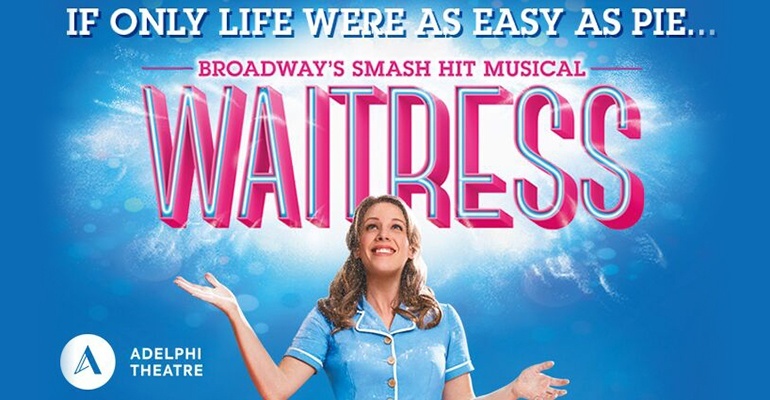 "Boasts one of the best scores to be written in recent years"
"This show is the real deal"
After an original 2016 premiere on Broadway, Sara Bareilles’ delicious, smash-hit musical Waitress arrives in London for its West End premiere. Playing at the Adelphi Theatre from February 2019, Waitress is the sumptuous musical based on Adrienne Shelly’s 2007 film of the same name. Following baker Jenna, who longs to escape from her small town and loveless marriage, the musical sees her catch the scent of a nearby pie-making contest that could change her life forever. That is, if nothing else does first… Featuring music and lyrics by six-time Grammy Award-nominee Sara Bareilles, the show has a divine soundtrack that includes tunes such as “You Matter to Me”, “Bad Idea” and “She Used to Be Mine”. Directed by Diane Paulus and choreographed by Lorin Latarro, Waitress will be the first West End musical to feature an all-female creative team. Starring Katharine McPhee and Jack McBrayer, the major musical is set to open at London’s Adelphi Theatre in February 2019. Absolutely brilliant.our group age ranged from 17 years old to 74 years old, we all thoroughly enjoyed the show and are about to book to go again.